The first thing you should know before reading this review is that I’m almost entirely a single-player gamer. I prefer to be left alone when I’m gaming, and the same goes for online connectivity. So if a game description includes “always online” or “multiplayer only”, I lose interest almost immediately. The reason I bring this up is to prime you with the fact that I know next to nothing about MMOs or online games in general – so if there is some specific jargon I’m not using or some obvious concern it didn’t occur to me to address, I hope you’ll be able to excuse my ignorance. 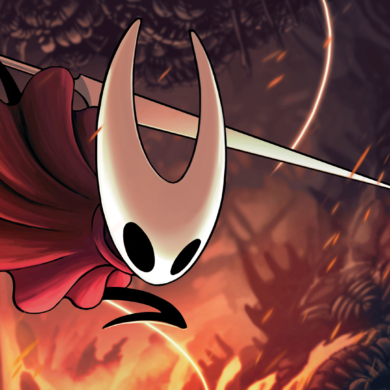 I’m just going to talk about the game as I see it. 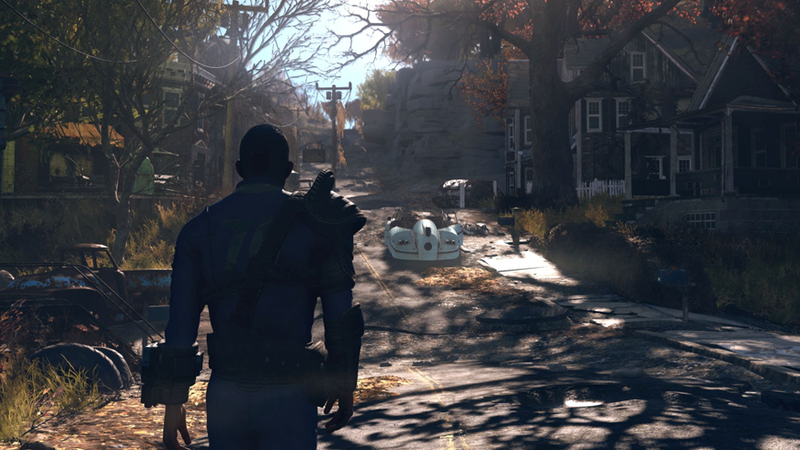 So, given my single-player-focused proclivities, why did I decide to play Fallout 76? Mostly morbid curiosity to be honest, and I’m one of those subhuman deviants who likes Fallout 4, to which 76 bears a close resemblance, using the same engine and many of the same assets. And I’m fan of the Fallout series in general, so if I were ever going to try a multiplayer-focused game, it may as well be this one. 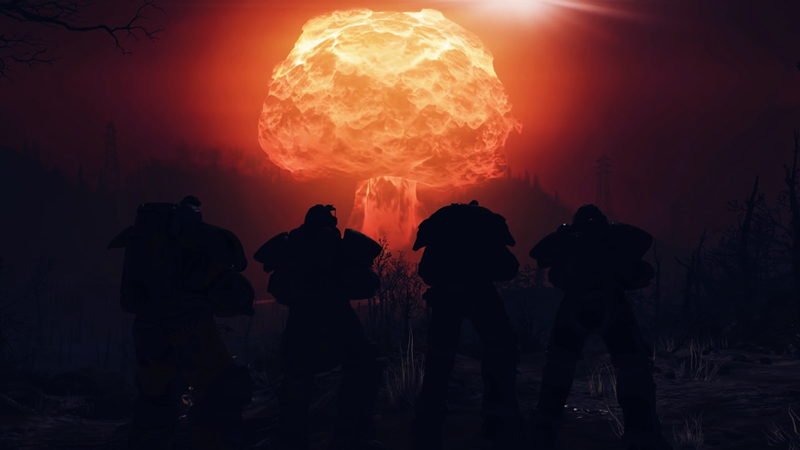 The premise for Fallout 76 is quite simple, and if you’ve played previous games in the series, comfortably familiar – nuclear war devastated the world, so a US corporation called Vault-Tec ushered a carefully selected group of citizens into underground shelters called “Vaults” to wait out the radioactive devastation. The character you create is a resident of Vault 76, and 25 years after it was sealed – and after a raucous party – it’s Reclamation Day, time to unseal the doors and head out to rebuild the world. And it seems your character partied really hard, because everyone is gone, leaving you to collect your starting gear from the robots before heading out. And that lonely feeling doesn’t quite go away – I’m sure you’ve all heard people bitching about the lack of NPC characters. It’s very noticeable, although it was a deliberate design decision on the part of the developers. They wanted players to get their interaction from other human players rather than scripted NPCs – fair enough. But that doesn’t really help players like myself, who find other humans vastly overrated both online and IRL, does it? To be honest, I quite like a lonely atmosphere, but I figured I should try some of the social aspect of the game for the purpose of the review. Unfortunately my friend in the UK who was “totally” going to get the game and do a few sessions with me decided to back out, leaving me to try my awkward hand at making friends with strangers. … Hello? I’ve got crispy squirrel bits. I encountered a few people in the game – none of whom wanted to team up, though. They’d wave, at best, before continuing with their looting or pursuing whatever quest they were on. Pretty standard, in my meagre online gaming experience. Early on I had to do a quest where I was supposed to cook a ribeye steak, but there were two other jokers in the town who killed all the brahmin and looted them, meaning I couldn’t get any meat. I had to quit the game and sign back in to get them to respawn. Once you reach level 5, you can start to engage in PvP. I made up my mind that I wouldn’t fire first, but I made a point of setting up my portable settlement in prominent areas, waiting for trouble. Not once did anyone try anything. I thought online games were supposed to be full of dicks. So far, all I’ve encountered are mild-mannered autists who beetle around with their heads down. So I resigned myself to doing the quests solo, and there are two main types – story and event. The story ones are where you follow a radio signal or a message to a place, listen to recordings, read messages, achieve some objectives and get some loot. The events are similar to the ones in Destiny (which I did play a bit at the behest of some friends – I even got to Mars before it bored me to tears) in which you enter an area, get told you’re entering an event. The events are usually simple, quick objectives, mostly involving collecting things or escorting robots while enduring endless waves of enemies. If you succeed, you get a bunch of experience and loot. The levelling mechanics are quite basic. Each attribute – Strength, Perception, Endurance, Charisma, Intelligence, Agility and Luck – has a selection of Perk cards assigned to it, and the more points you put into an attribute, the more cards you can equip at once. Shuffled packs of these cards are given to you every several levels, which is a bit random for my liking – but I guess it was done to encourage Perk card sharing, which would be great if I weren’t always on the anti-social server. 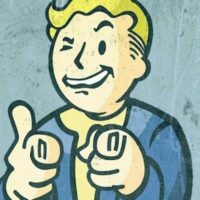 When I heard Fallout 76 was going to be multiplayer, I wondered how they would make the VATS (Vault-Tec Assisted Targeting System) work – you know, the mechanic in Fallout 3, New Vegas, and Fallout 4 that paused time and let you choose enemy body parts to shoot based on your chance of hitting them. Well, they just made it real-time. It works nicely enough, and I actually had to rely on it because the frame rate in the PS4 version is horrendous and, coupled with some online lag, made manual aiming almost impossible. Maybe the frame rate is better on a PS4 Pro, but I don’t have one. But, after enough quests, I got bored. I didn’t feel like there was any kind of grand goal I was heading towards, besides maximum level, I suppose. Eventually I just began to skip the audio logs and text documents, listening to music or YouTube videos while following the quest markers. Don’t get me wrong, I like environmental storytelling – but when it’s all you have, it loses its charm a bit. 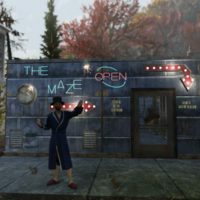 Maybe I could have fun if I knew some other players and, by some miracle, our schedules aligned and allowed us a good session or two to build settlements and fend off attackers together – but the player base I’ve encountered so far seems even more introverted than me, which is hard to believe. Honestly, until Bethesda fixes the horrific frame rate and patches in some more fun stuff to do, I’d rather play Fallout 4 in survival mode. 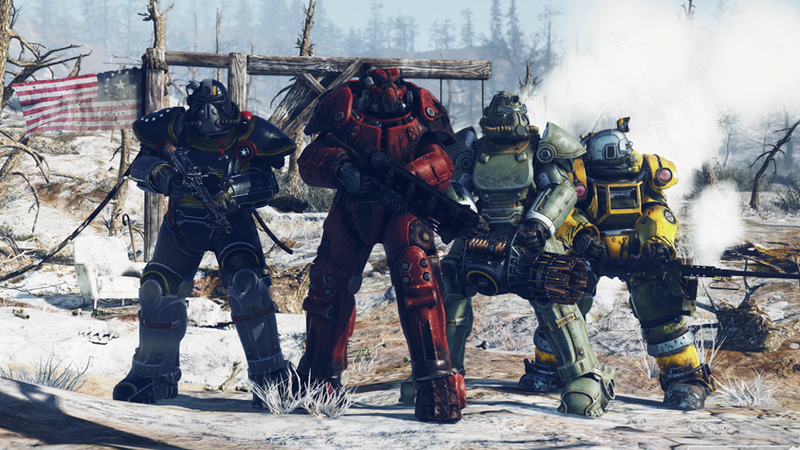 Fallout 76 would be more fun to play if there was more variety of missions, which you'll likely end up doing solo unless you have friends to play with going in. The PS4 version's atrocious performance needs serious optimising too. Maybe with content updates it could become decent, but without that, I can see this one bombing. So far the only other players I've encountered weren't particularly interested in teaming up - so why play a multiplayer online game at all?